From Madison – Proceed south on Hwy 69, take a right (West) on Hwy 39, this is at the stop light in New Glarus. Proceed west for 1 mile until you reach Klitzke Rd. Take a left and you will see the vineyard & winery. From Monroe/Illinois – Proceed North on Hwy 69, take a left (West) on Hwy 39, this is at the stop light in New Glarus. Proceed west for 1 mile until you reach Klitzke Rd. 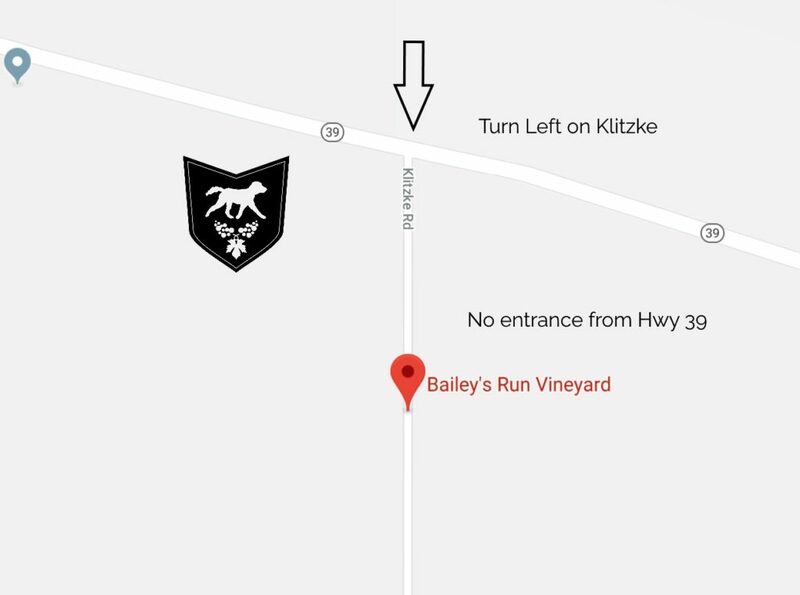 Take a left and you will see the vineyard & winery. From Mineral Point/Hollandale – Proceed East on Hwy 39, until you reach Klitzke Rd (about 1 mile from New Glarus). Take a right on Klitzke Rd. and you will see the vineyard & winery.